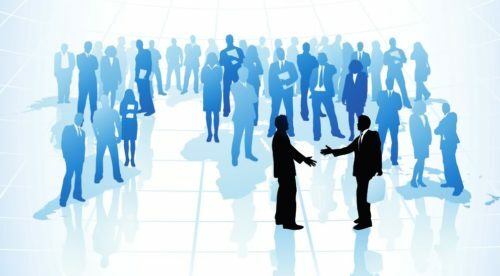 A new professional association for Australian insolvency practitioners – named the Association of Independent Insolvency Practitioners (AIIP) – has been formed and is currently endeavouring to recruit as members those registered liquidators and trustees in bankruptcy who work as sole practitioners or in small firms. In an email circular on 4 May 2017 (see below), Nicholas Crouch, a Sydney liquidator and registered trustee in bankruptcy, acting for the AIIP, stated that “80 of the 350 small firm liquidators and trustees in Australia have joined AIIP”. The annual membership fee has been set at just $20. Also, the AIIP plans to create – for use in company liquidations, voluntary administrations and receiverships and in personal bankruptcy – sets of precedent or pro forma letters, forms, checklists, etc., that fulfil the requirements of the new insolvency legislation. It estimates that the price per practitioner will be about $2,000. This is far less than amounts charged by existing suppliers (CORE IPS and CCH). It is not clear whether the AIIP sees itself as an alternative or an adjunct to the Australian Restructuring Insolvency and Turnaround Association (ARITA), which is the peak body representing insolvency practitioners. 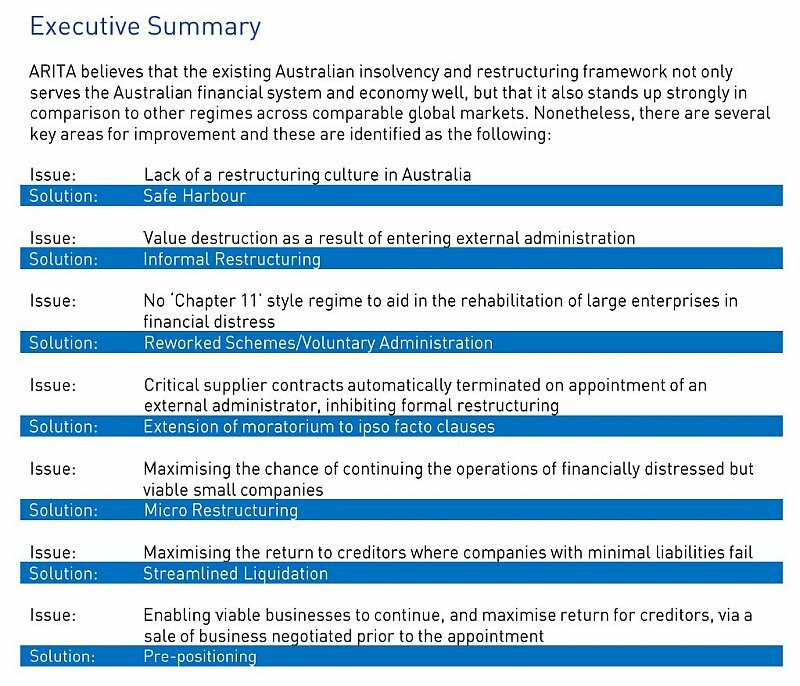 ARITA describes itself as “Australia’s leading organisation for restructuring, insolvency and turnaround professionals.” Recently ARITA has greatly enhanced its power and prestige as a result of insolvency legislation classing it as an “industry body” and giving it an important role in the official registration of liquidators and bankruptcy trustees. 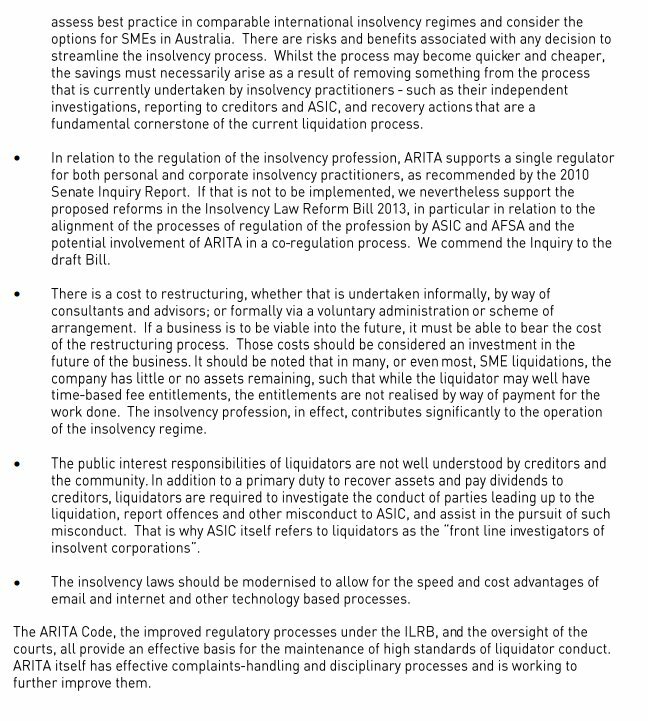 But it seems a significant number of insolvency practitioners are not happy with the direction that ARITA has taken. Dissatisfaction with the association relates to a perception that it is dominated by large insolvency firms (supposedly leading to a focus on issues that are of interest to them), its decision to admit lawyers, bankers and academics as members, and its high membership fee. A new liquidator’s club has been established. The objective of the Association of Independent Insolvency Practitioners (“AIIP”) is to encourage small insolvency firms to collaborate and develop best practice procedures and precedents for its members. To date, 80 of the 350 small firm liquidators and trustees in Australia have joined AIIP. AIIP is a not for profit association. Membership of AIIP is limited to registered liquidators and bankruptcy trustees. The annual membership is $20 and an application form is attached. Discussion groups have been established in Sydney & Brisbane and AIIP hopes to roll out new discussion groups in each capital city as soon as practicable. AIIP has a committee that is developing a set of liquidation, VA, receivership & bankruptcy precedents that will be compliant with the new laws. AFSA & ASIC have agreed to consider, but not endorse, the AIIP precedents when they are finalised. AIIP members will be able to purchase and immediately use the new precedents or use the AIIP precedents as a guide when amending their own existing precedents. The projected cost of the precedents is uncertain, but my preliminary estimate is about $2k per member. I am hopeful the costs can be reduced through increasing the AIIP’s membership. I encourage you to invite other small firm insolvency practitioners to join AIIP. If you wish to offer assistance to this project please advise me. On 25 November 2016, Senator Williams assisted the AIIP by asking the ASIC Chairman and 3 ASIC Commissioners who were present at the Federal Government’s Joint Parliamentary Committee on Corporations and Financial Services, if ASIC would assist AIIP with our precedents project. Senator WILLIAMS: I have a couple of questions, Mr Price, on insolvency. With the new insolvency laws, every insolvency firm must update its precedents and templates. This is a massive and costly task. I know of a group of 40 independents, a small firm of liquidators. Small firms are creating one set of documents that they will all use as templates. It is an industry first. This will save ASIC work. Is ASIC prepared to work with this group to develop these templates? Mr Price: Certainly. We would be happy to discuss with groups that are thinking about that. AIIP is very grateful for the assistance of Senator Williams, ASIC & AFSA. AIIP recognises this is a historic opportunity for all small firm Insolvency practitioners to work with the regulators to produce best practice documents which will assist both the regulators and the small firm insolvency practitioners by raising the standard of practice and reducing the cost of compliance. ARITA has declined to work with AIIP on this project. CCH is in preliminary discussions with AIIP and they may offer their assistance with the precedent project. Kindly advise me by return email if you are interested in purchasing the AIIP precedents …. The checklist has 57 questions, alerts, recommendations and tasks concerning income tax, goods and services tax, fringe benefits tax, PAYG withholding, and superannuation guarantee. 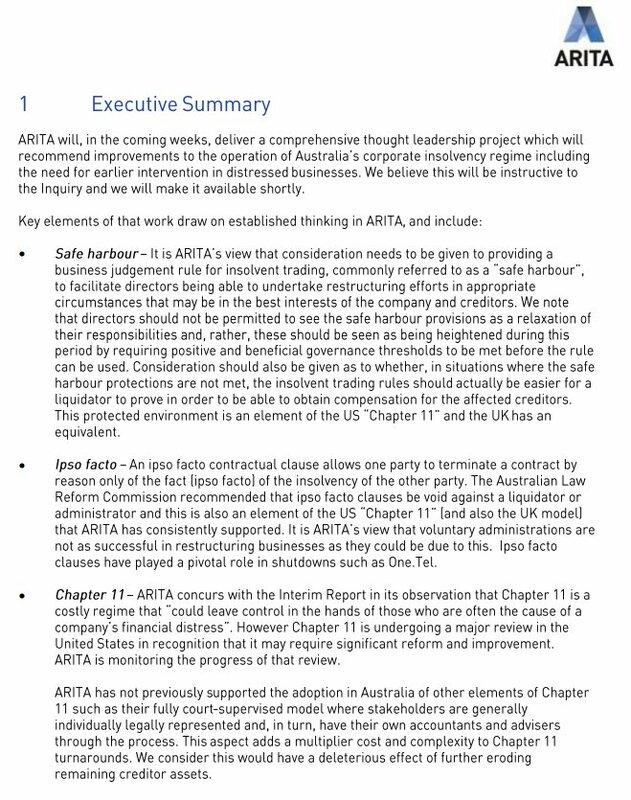 ARITA suggests that “Members should note that while ARITA will endeavour to ensure that this guidance is kept up to date, tax is an area subject to constant change and the guidance is current, to the best of our knowledge, as at the date included in the footer of the document. Members should ensure that they are always using the most current version of the guidance”. The checklist is intended to provide assistance and help to insolvency practitioners in the complicated field of tax compliance. 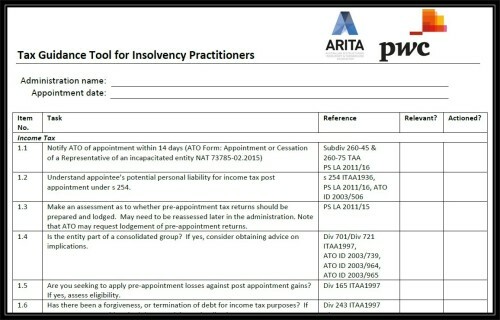 There is no suggestion from ARITA that use of their tax guide is mandatory or necessary or even recommended. Access to the full guide is available through the ARITA website: CLICK HERE. ARITA has received a number of queries from members regard the relevant PAYG Withholding Rates for dividends paid to employees by external administrators in light of the increase to the Medicare Levy. On consultation with the ATO, we have been advised that the 2005 Notice of Variation is still current and the 31.5% standard rate still applies and will continue to do so until the notice of variation ceases on 1 October 2015. The ATO further advises that it is looking to renew the notice but before that occurs will consult with relevant stakeholders, including ARITA and external administrators, about whether changes need to or should be made to the current notice, including any changes to the rates on the notice. Under the Insolvency Law Reform Bill 2014 the insolvency practitioners association and the accountants associations are to be granted the right to formally refer registered liquidators who they suspect are guilty of misconduct to the Australian Securities and Investments Commission to consider using its disciplinary powers. The following table sets out the proposed legislation by using extracts from the Bill and related official material. Subdivision G of Division 40 provides that an industry body will be able to provide information about potential breaches of the law by a liquidator, and also be able to expect a response from ASIC on the outcome of that information provision. An industry body (prescribed in the Insolvency Practice Rules) may lodge a notice (an industry notice) stating that the body reasonably suspects that there are grounds for ASIC to take disciplinary action against a registered liquidator. The industry body must identify the registered liquidator and include the information and copies of any documents upon which the suspicion is grounded. • if ASIC does take action based wholly or partly on the information included in an industry notice, ASIC must give the industry body notice of that fact. An industry notice is not a legislative instrument. An industry body is not liable civilly, criminally or under any administrative process for giving an industry notice if the body acted in good faith and the suspicion that the body holds in relation to the subject of the notice is a reasonable suspicion. A person who makes a decision in good faith as a result of which an industry body gives an industry notice is not civilly, criminally or under any administrative process for making the decision. An industry body (which will be prescribed in the Insolvency Practice Rules) may give ASIC an ‘industry notice’ stating that the industry body reasonably suspects that there are grounds for ASIC to take disciplinary action in relation to a registered liquidator. ASIC is required to notify the industry body whether or not it has decided to take action in relation to the matters in the industry notice. An industry body is not liable civilly, criminally or under any administrative process if the body acted in good faith and its suspicion in relation to the subject of the notice is a reasonable suspicion. (c) including the information and copies of any documents upon which the suspicion is founded. (2) ASIC must consider the information and the copies of any documents included with the industry notice. (3) If, after such consideration, ASIC decides to take no action in relation to the matters raised by the industry notice, ASIC must give the industry body written notice of that fact. (4) The consideration of the information and the copies of any documents included with the industry notice must be completed and, if ASIC decides to take no action, a notice under subsection (3) given, within 45 business days after the industry notice is lodged. wholly or partly on the basis of information or a copy of a document included with the industry notice, merely because ASIC has given a notice under subsection (3) in relation to the matters raised by the industry notice. (6) If ASIC does take action of the kind mentioned in subsection (5) wholly or partly on the basis of information or a copy of a document included with the industry notice, ASIC must give the industry body notice of that fact. 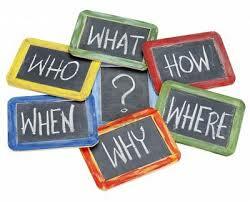 (7) A notice under subsection (3) or (6) is not a legislative instrument. 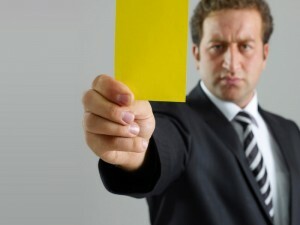 No liability for notice given in good faith etc. (b) the suspicion that is the subject of the notice is a reasonable suspicion. (2) A person who, in good faith, makes a decision as a result of which the industry body gives a notice under subsection 40-100(1) is not liable civilly, criminally or under any administrative process for making the decision.